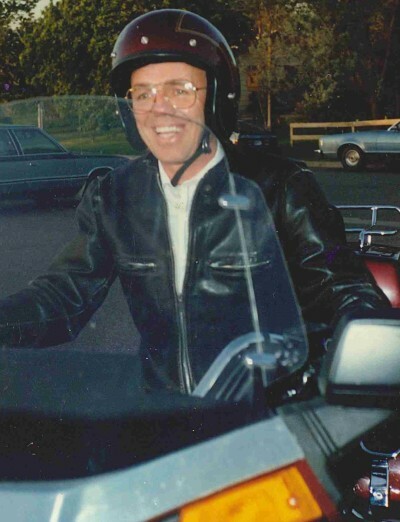 Oliver “Ollie” Lloyd Mogensen, age 74 of Stacy, Minnesota; formerly of Isanti, Minnesota went to meet his Heavenly Father on Monday, February 11, 2019. Ollie worked at C&P Aviation Services in Blaine, Minnesota; working on motorcycles. He proudly owned his own business in Ham Lake, M&E Auto Repair. He was united in marriage to Shirley Barnier on March 30. 1968 at Mount Olive Lutheran Church in Anoka. To this union, they were blessed with three children; Tara (Mark) Shelton, Tia (Richard) Svardahl, Tory (JerriAnne Twingstrom) Mogensen; 11 grandchildren, Tawni (Andrew) Lathe, Tyler Shelton, Treven Shelton, Tegen Shelton, Malachi Shelton, Amelia Svardahl, Signe Svardahl, Kaden Davis, Stephen Foster, Jayden Foster, Timmy Walters; one great-grandson, Brayden Lathe; sister, Sue Dunn; brother-in-law, John Motzko; other extended family and friends. He is preceded in death by his parents; sister, Rebecca Motzko; brother-in-law, Bill Dunn. Funeral Services will be held at 2:00 p.m., Saturday, February 16, 2019 at Maranatha Assembly of God, 24799 Forest Blvd North, Forest Lake. Visitation one hour prior to the service at the church. Private family interment at Epiphany Cemetery.